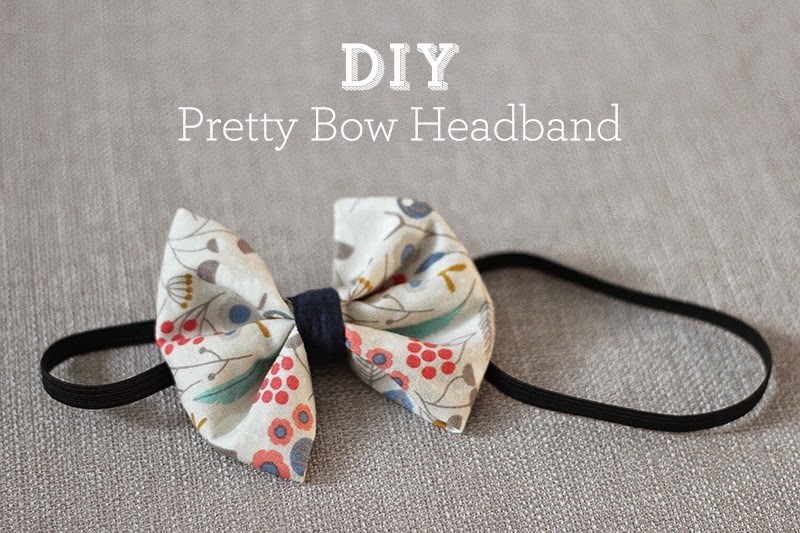 Here is my first tutorial: an easy bow headband. 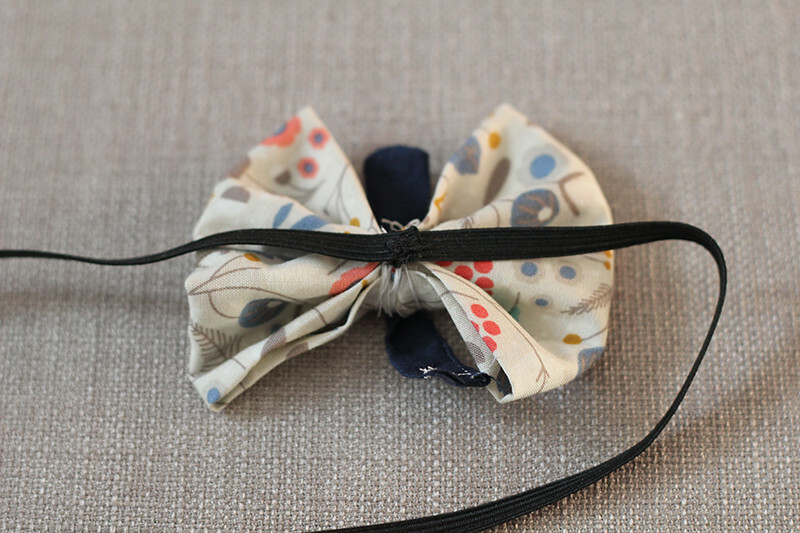 This bow is a cute accent to any outfit for your baby girl. I love putting it on Heidi. 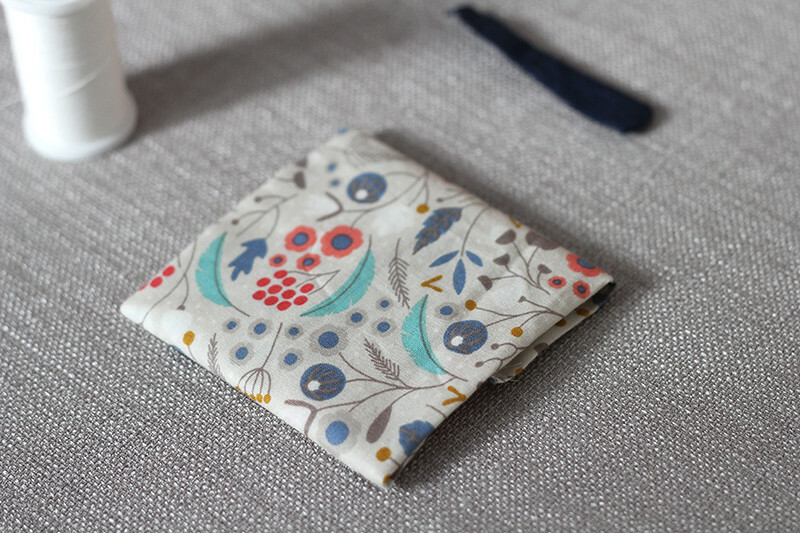 And I've made a bunch in different fabrics because it's super easy. 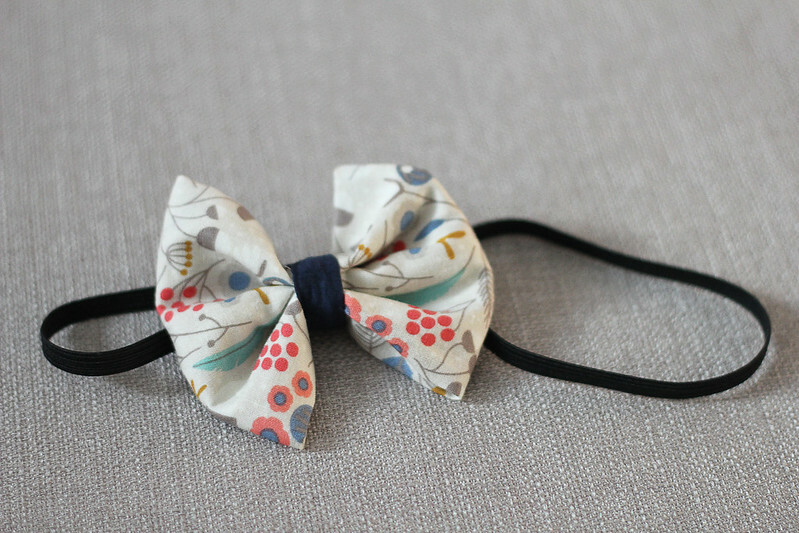 You'll need two pieces of fabric: one for the main bow and the second for the middle piece. The size of the final bow would basically be a quarter of the piece of fabric you cut. So here, I cut a 6"x 6" piece that would ultimately make a 3"-wide bow. 1. 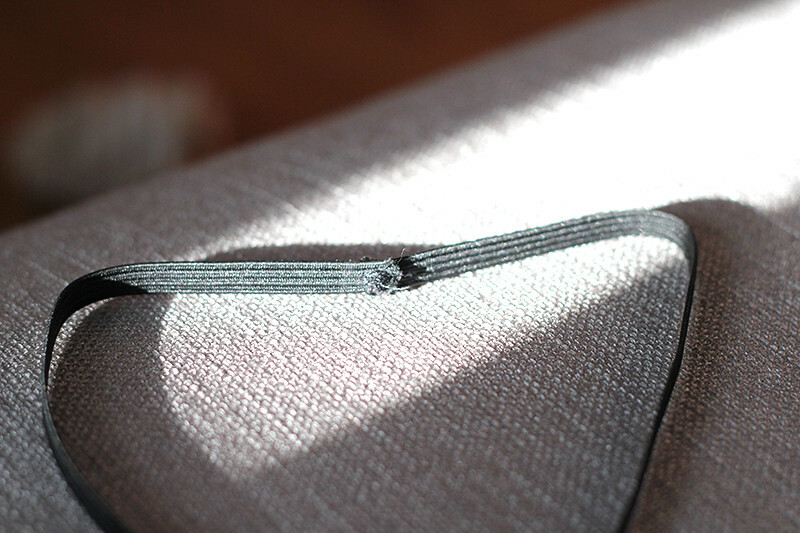 Fold the piece of fabric in half, with the right sides facing each other (so that you see the wrong side). Then sew along the edge. Flip it inside out. 2. 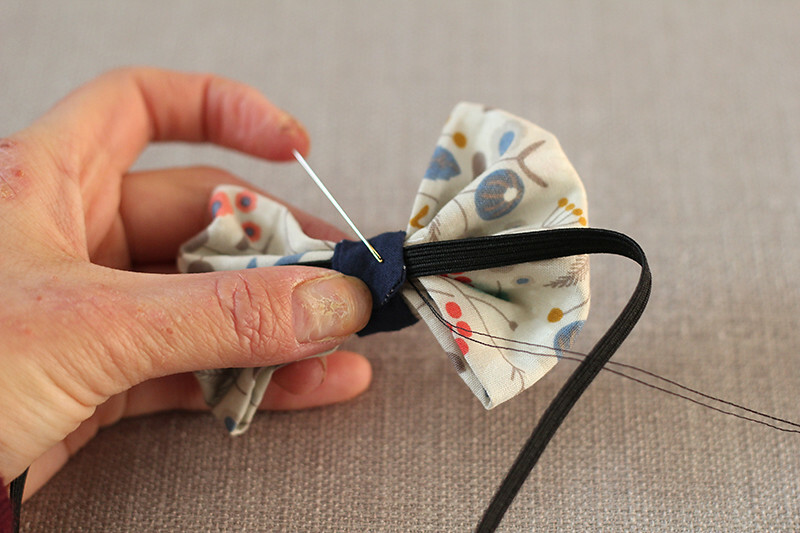 Fold that piece in half again, so that the seam is outside (the clean side is in). Sew along the edge. Flip it inside out. 1. 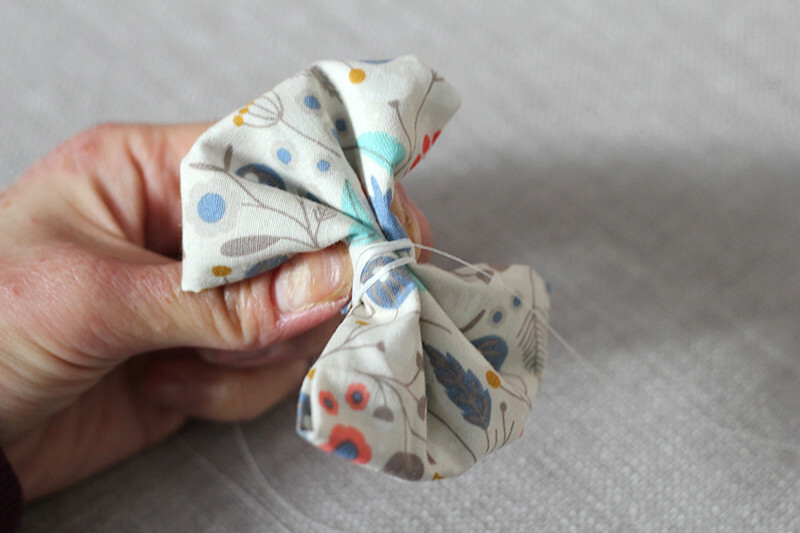 Take your small piece and fold it in half length-wise. You're gonna sew it in an L-shape so that you get a closed pipe. 2. Flip it inside out. Then sew it shut. 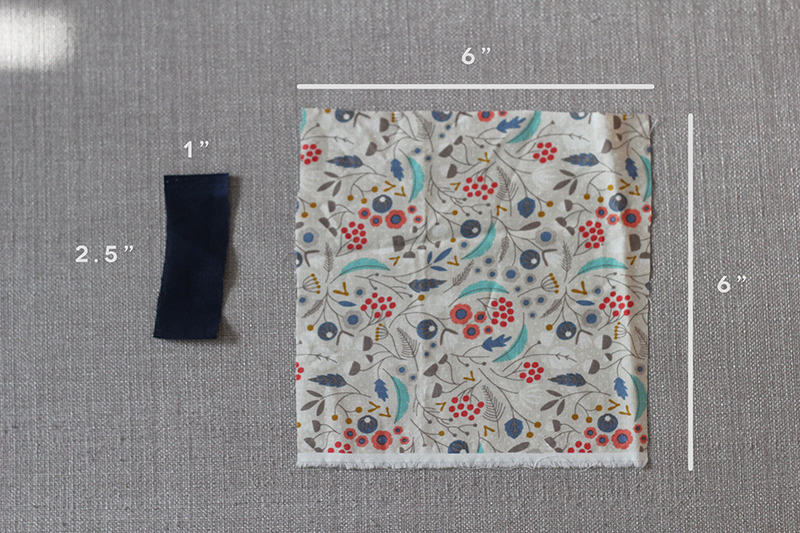 This part is kind of tricky since it's a small piece of fabric but with patience, you'll get it through! 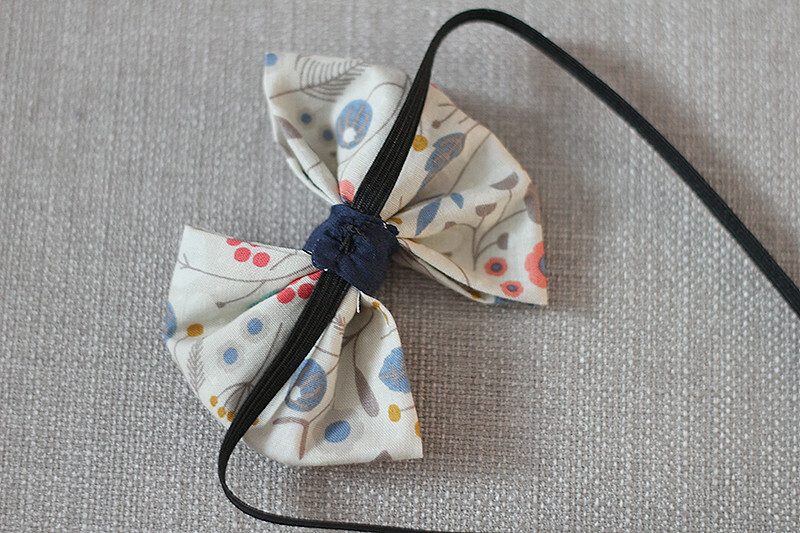 Take your bow piece with the non-seam side facing up and hold it so that the closed sides are on the left and right, open sides on the top and bottom. Do an accordian fold. It's basically like when you fold a paper fan. I like having the edges on the top and bottom folded so that you don't see the edges. Now take some string and tie it tightly around the middle. I loop around it quite a bit so that it stays nice and tight. Knot it a few times so that it doesn't unravel. 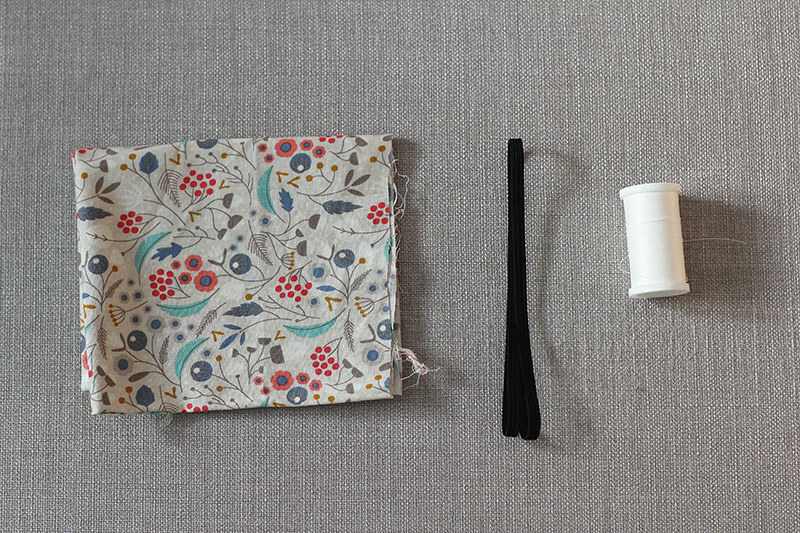 Now sew the elastic piece into a loop. 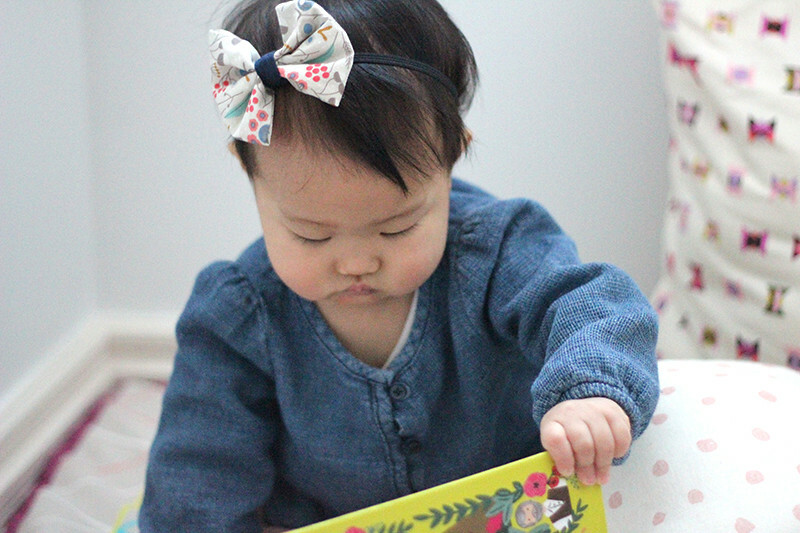 Make sure you use the zig-zag option so that the elastic doesn't come apart. 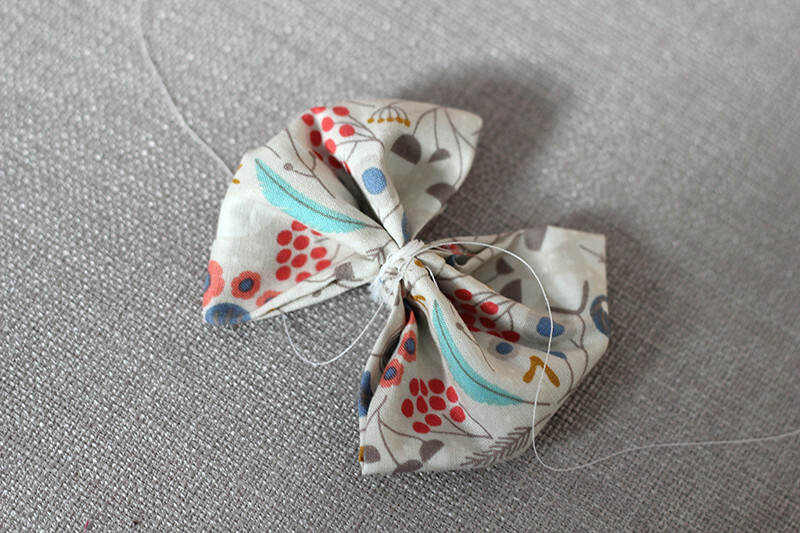 Place all three pieces together so that the small piece wraps around the bow and elastic. Make sure the neat end of the small piece stays on top. Get a needle and thread and sew it all together. This is probably the hardest part since you have to hold the pieces tightly together and you have to make sure the thread goes in all the layers. I find it much easier when you take it slow and sew one direction at a time. For instance, I would take the needle from the inside, poke through all three pieces and come up. Then I'll take the needle back inside, again going through all three pieces. I repeat this until I feel like it's on securely. Voila - it's all done! Once you start making these, you're not gonna stop! 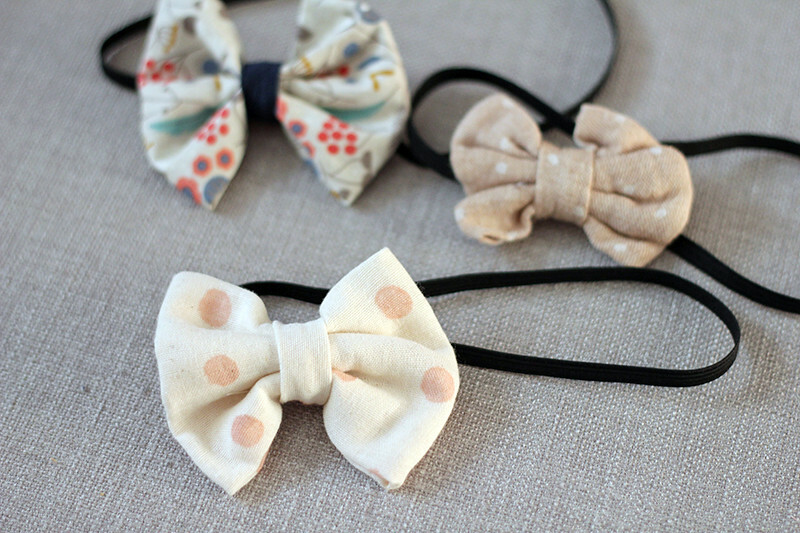 You can make a bow for every outfit. Beautiful and creative; lovely photos.